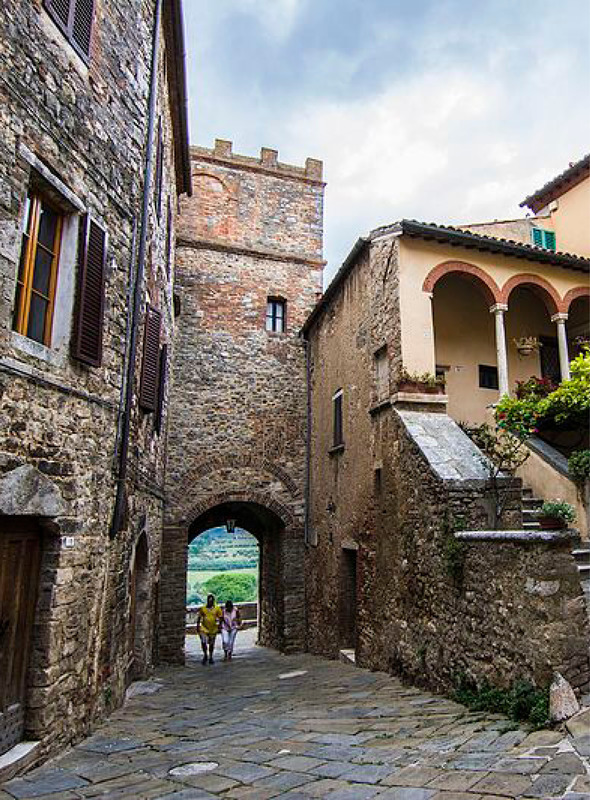 Symbolically and physically, stone is an irreplaceable resource in Italian suburbs. 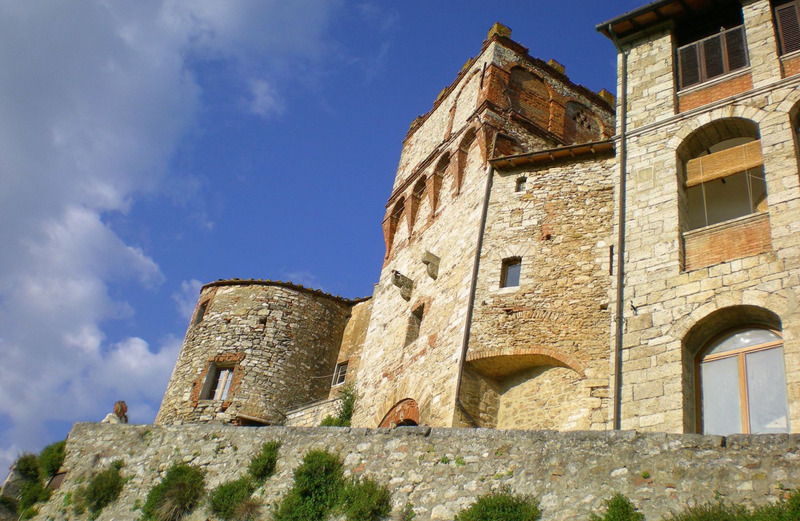 In Rapolano Terme, an ancient centre for quarrying and processing travertine stone, it represents tradition, identity and the future. 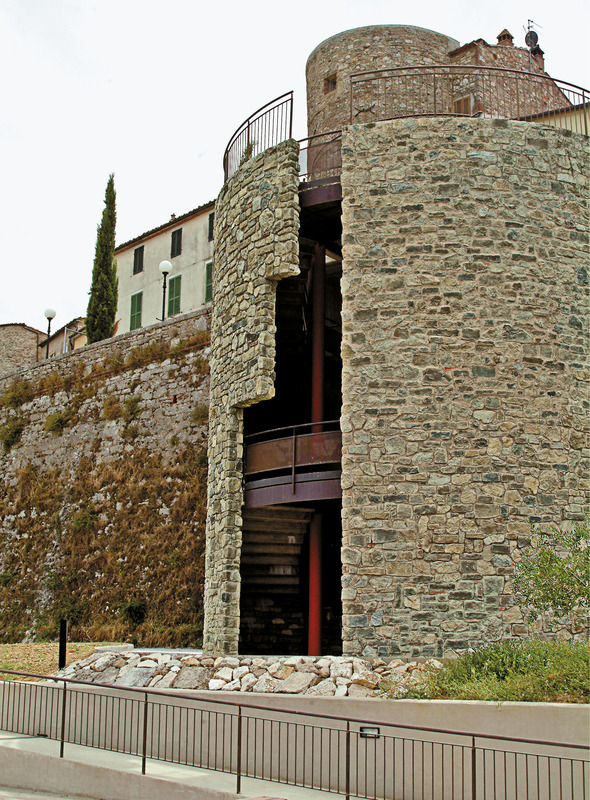 The local government project to redefine public areas and the town setting therefore considered the area's history in the context of new requirements relating to legislation and tourism.The multi-storey car park at the entrance to the old town seeks a dialogue with tradition that strengthens value. 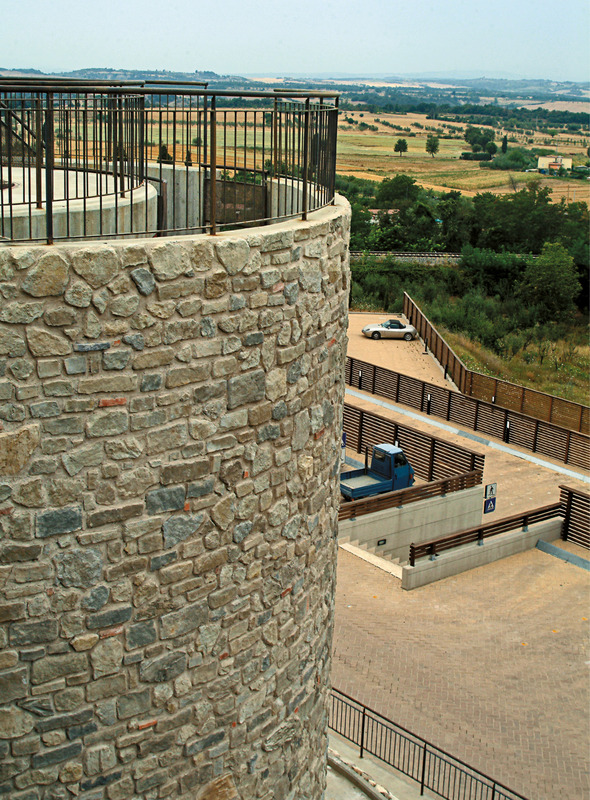 The circular towers that conceal stairwells and lifts connecting the car park to the town are made of Geopietra wall. 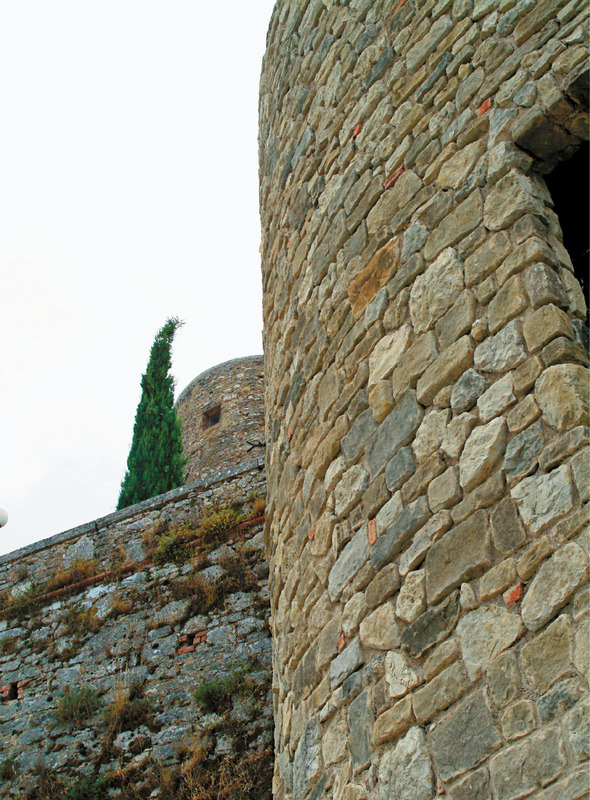 The project has a significant visual impact, given that it can be seen from afar and is situated behind the mediaeval town walls. Geopietra wall restores the charm of the traditional wall and the clever use of materials and techniques creates a unique wall covering which is technically advanced and guaranteed over time. 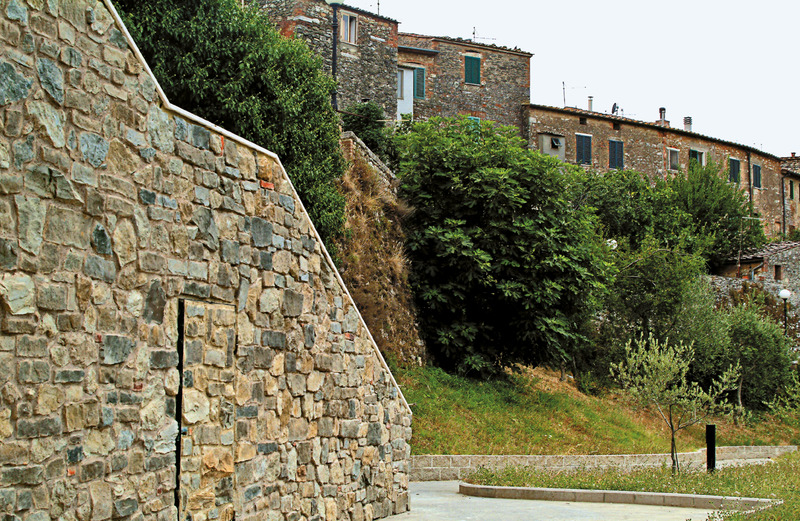 With Geopietra wall aesthetics and efficiency live in harmony together. The natural feel of the stone enhances the technical functionality of the modern wall arrangement in projects with timeless beauty.